Why on Earth should we continue to explore outer space and Astronomy? What’s out there? What’s in space, which we cannot see? Our God created it all. 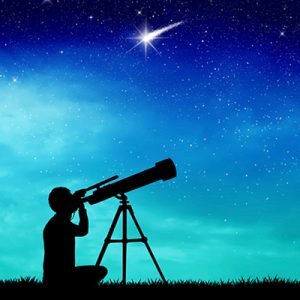 In this course, we will study the history of astronomy, properties of our sun, structure of stars, the Milky Way Galaxy and many other bodies in our solar system. Observing the night sky and seeing the beautiful world God has created will be an amazing journey. Get ready to enjoy virtual labs, web quests, hands-on experiments, and activities. Homework will be assigned at the end of each live class session and will be due before the next live class. Homework should take approximately 2.5 hours per week. The goal of homework is to reinforce and explore the concepts that were taught in class. This is a core class and you will need to keep up with assignments. Contact me if your assignments will be late. I will work with you. Otherwise, 5 points off per day. Students should conduct themselves appropriately with their speech and texts during our live class. Students who are unable to adhere to this type of conduct may be separated from the class or removed from the session. Pre-Algebra, Earth Science, Astronomy, Intro to Electricity, 2-4-6-8: You Can Learn To Do Math Great!